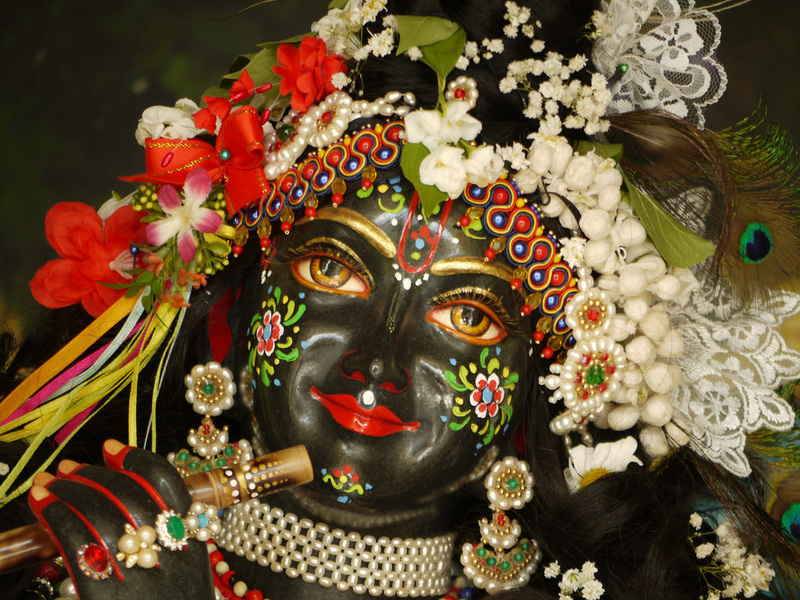 May is the month when the tourist season really begins to take off with Radhe Syama’s visitors increasing day by day. So many groups are arriving and the majority of the guests we find are returning for an annual visit. So we try at this time to arrange preaching festivities that attract the general public throughout the year, to venture to Radhe Syama’s realm, by holding them in between our normal devotee celebrations . The third Henna Festival in the middle of the month was also one of these, the theme being health and beauty in the light of indian culture and Ayurveda. We had a variety of programs running from 10am till 4pm: Henna painting, a Henna competition, a fashion show, Ayurvedic counseling, and much more - it was so very successful that at the final count, 900 people had visited Krishna Valley that day! 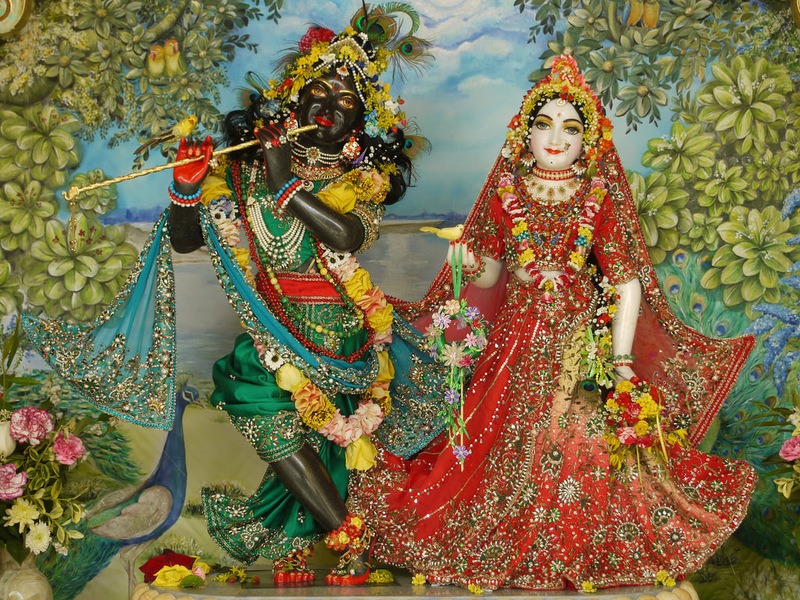 Although Radha-Syama await Their guests with Their beautiful darshan every day. For the Henna festival it was extra special as They wore Their amazing and wonderful Hungarian outfit (with traditional Hungarian embroidery). Due to the wonderful days of warmth and sunshine now, more people are taking day trips at the weekends to visit New Vraja Dhama which will undoubtedly increase during the school holidays, to experience the unique layout of Krishna Valley. 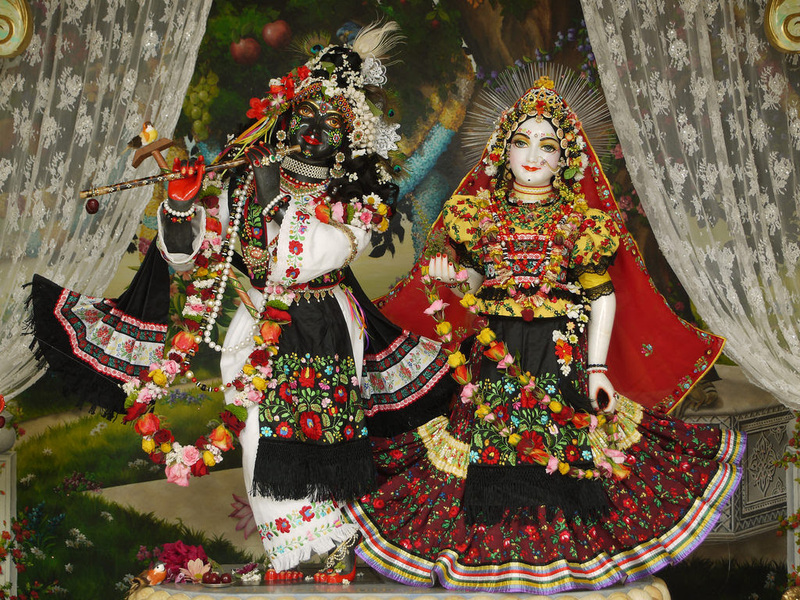 We received two full Nitya-seva payments in May for the pleasure of Radha-Syama and Gaura-Nitai, and after the April festivals many devotees being enthused, came forward and expressed their desires to start installments too. Thank you all so much for your enthusiasm and your service! Not so long ago we had a conversation with one of our donors whose story I would like to share with you today. Maybe it will insipre those who are thinking about starting a Nitya-seva but are not yet confident enough to take that first step. 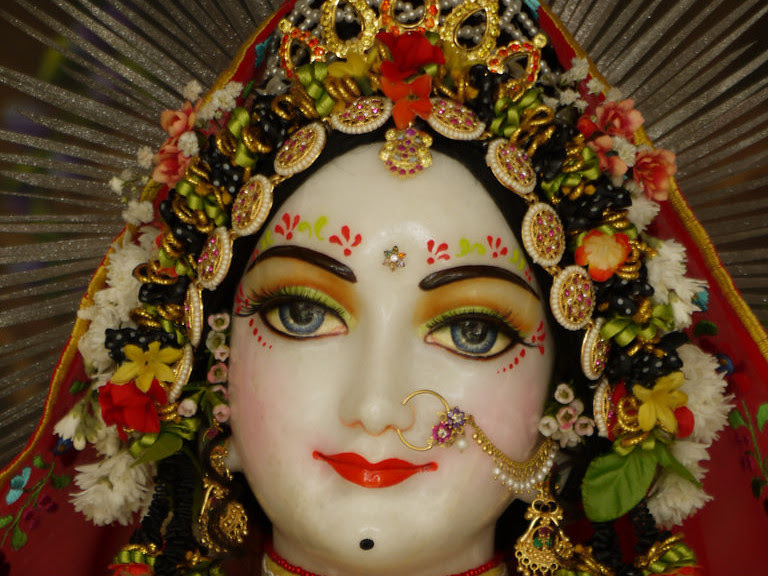 His story is the testimony of how Radha-Syama and Gaura-Nitai reciprocate with the efforts of those who try their best to please Them. This prabhu had a great desire to start a Nitya-seva subscription since he wanted to participate in the worship of the Deities, and as he put it: “I wanted to get closer to the world behind the curtains”. His financial situation though only allowed him to pay smaller sums every month – which he had started last summer – and he was planning to increase it to the full amount in the following years. His elderly parents were living in the country in a semi-detached house which had become too big for them to look after in the last few years, so they had been trying to find a buyer, but without much success. However three months after the prabhu started to make the Nitya-seva installments, he suddenly got a phone call from his parents saying that they had managed to sell it. They divided the lakshmi they received for the sale amongst their children, and this devotee received exactly that amount of money needed for his full Nitya-seva pledge. He didn’t after all have to wait so many years to complete it and immediately fowarded the lakshmi to finish his payment by the end of last December. He said: “We just have to make the decision and then something good will surely happen. If we want to get closer to the world behind the curtains, Those who are there will help us to achieve that.” Jaya Radha-Syama!! 2nd, 3rd, 4th, 5th, 6th, 7th, 9th, 10th, 11th, 14th, 16th, 21st, 25th, 26th, 29th, 30th.